Three years ago, when we moved into our current house, there was a deck attached off of the kitchen. It wasn’t very high – 2-3 feet. The next spring, we noticed that there was some rot by the sliding door in that location and explored. 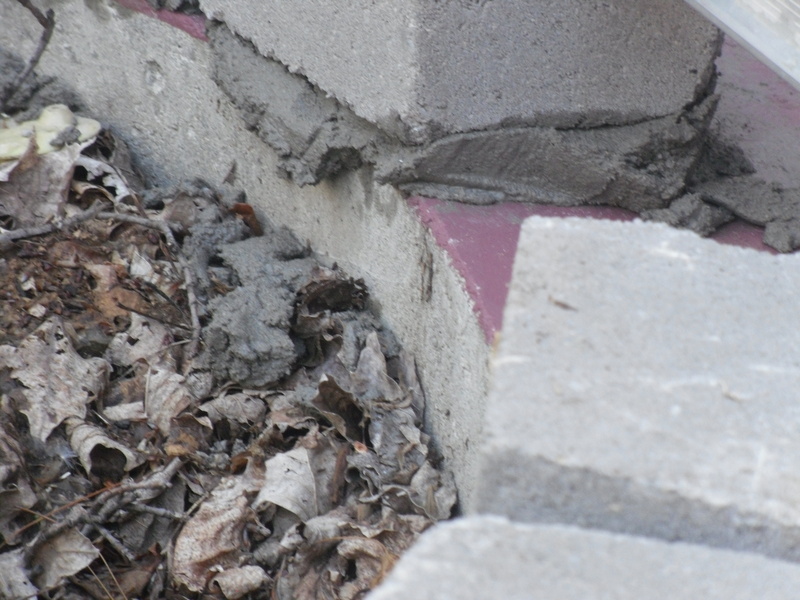 This ended up resulting in a huge problem; the foundation and sill of the house were being rotted away by the inappropriately attached deck – we had water infiltration, a foundation that was collapsing and a slew of other issues. 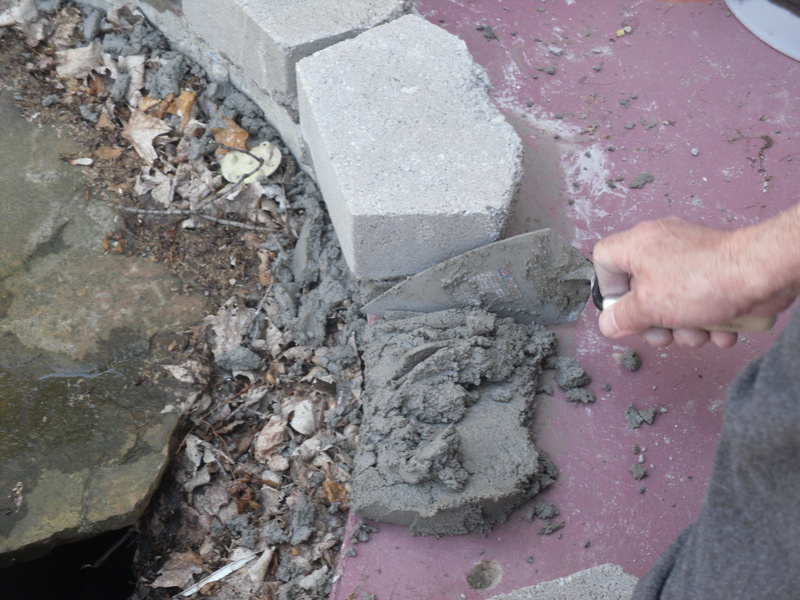 So, we ripped that deck out and poured new foundation, repaired the sill, etc. 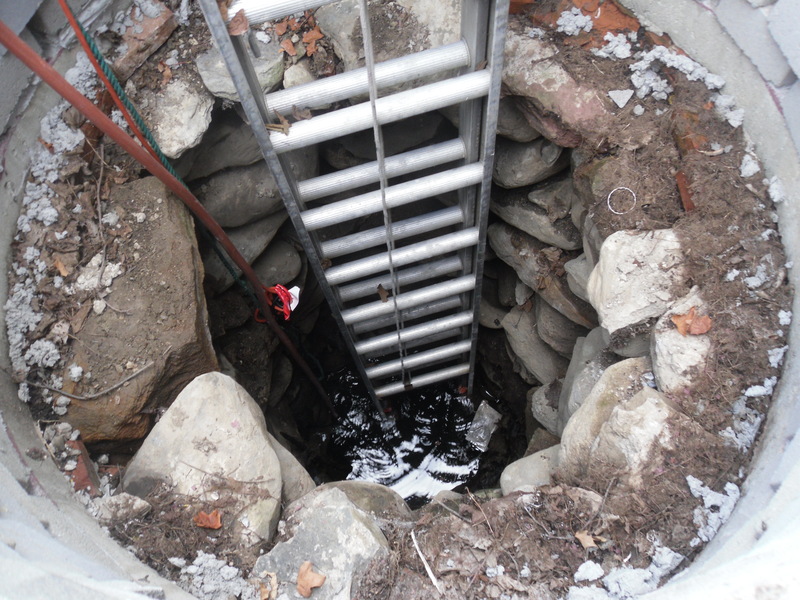 When we ripped the deck out, however, we discovered a well underneath it! And very quickly said to ourselves, “So that’s why the basement is so wet right there…” but, being on the upside of the hill the house is on, there wasn’t much we could do about it, and it was clearly original to the house. So we decided to make lemonade out of lemons and finish it off. The finishing is what has taken so long. This project, which was needed for the stability of the building, sucked down our emergency fund and loan capacity at an astonishing rate. Now, however, we’re back on better financial feet, and have been able to do the bits necessary to finish it. 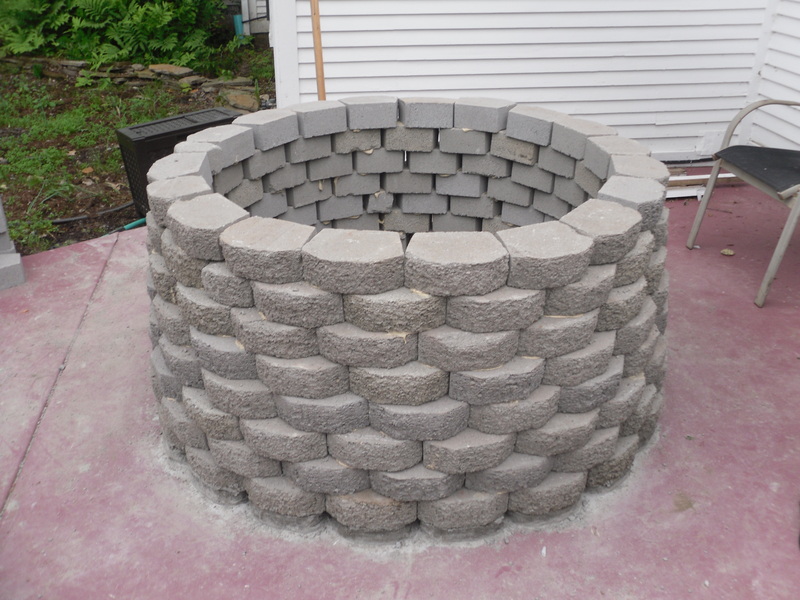 For the first two years, we had a large piece of flat-stone (what many early basements are made out of here in Vermont) over the hole of the well, so that the children would not fall down in and become Tiki-Tiki-Tembo-No-Sarembo-Charli-Bari-Buchi-Pip-Peri-Pembo, from the children’s book Tiki-Tiki-Tembo. 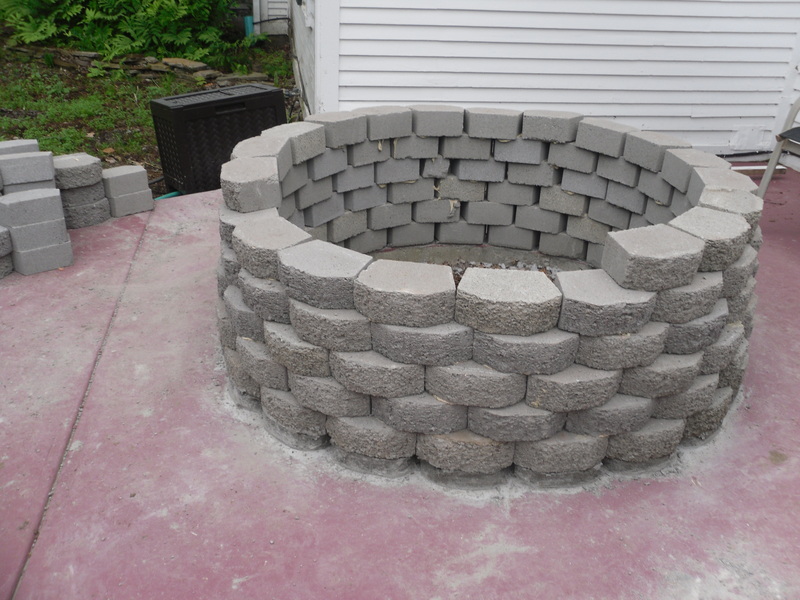 This year, however, we bought landscape paving stone from Lowes, during their 20% off spring sale, and determined to finish the darn thing off. 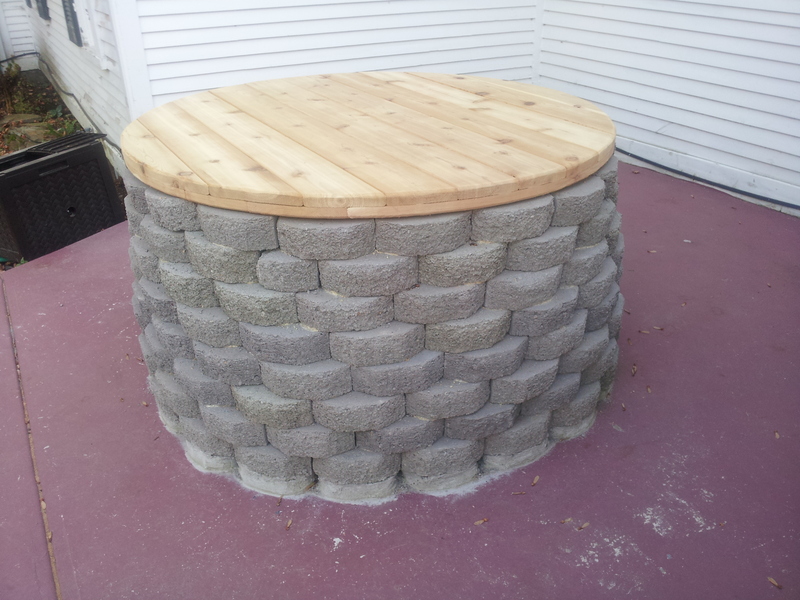 The landscape pavers are not square, so that they can make a circle or oval with no real problem or cutting needed. We chose these, for their efficacy, economy and look. 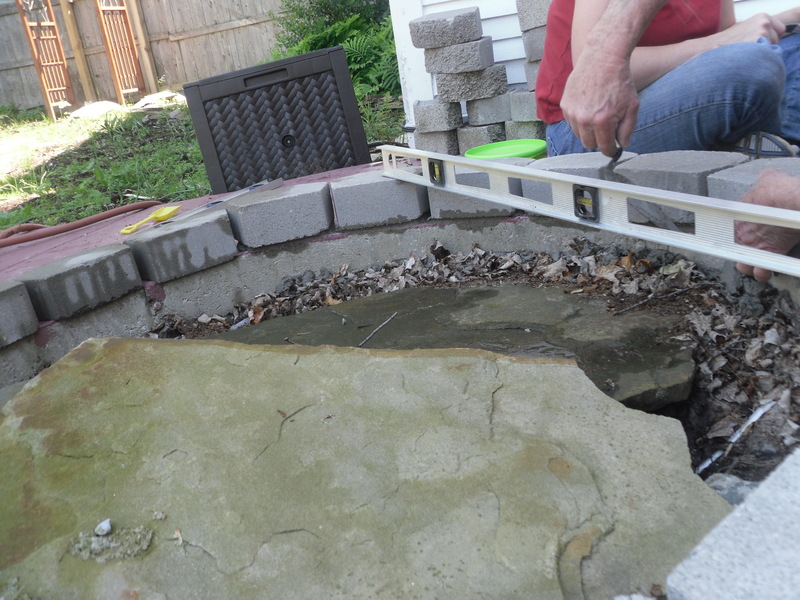 We removed the flat stone and leveled out the base for the stones, with some help from my awesome, master carpenter dad. 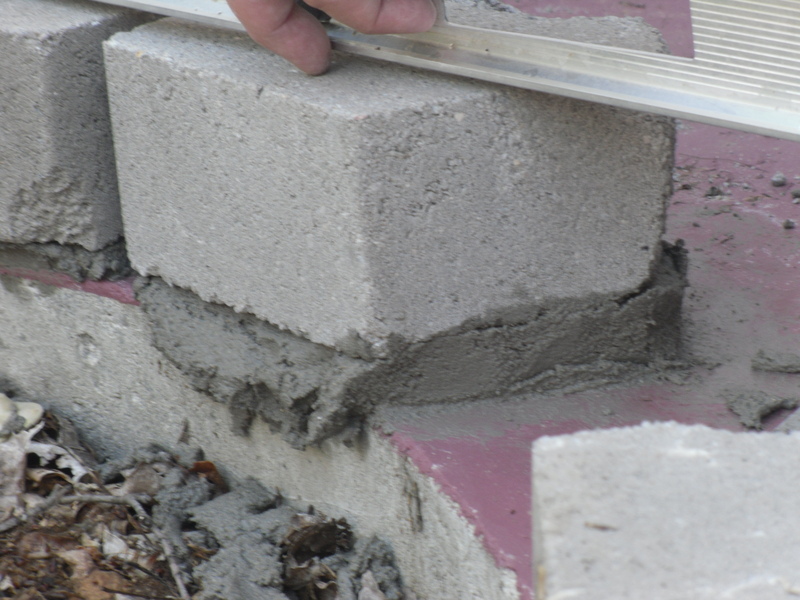 Then, we built up a concrete platform that accomplish this. 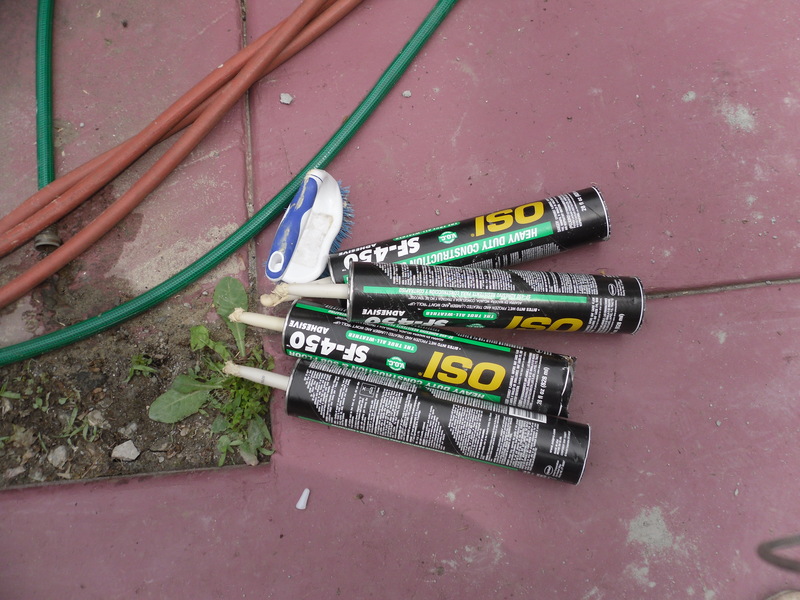 I took a knife and a razor and cut off all of the dried adhesive that had squeeked out the edges due to either movement of the pavers or too much glue. 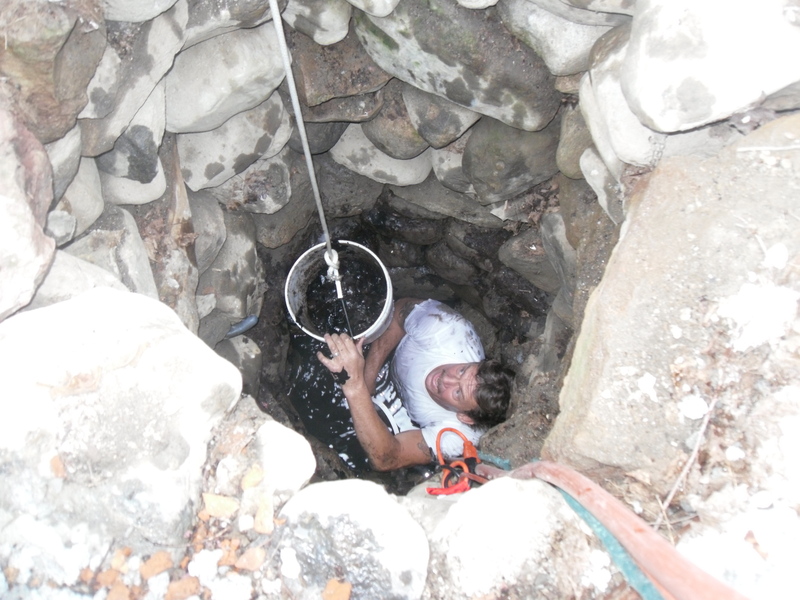 Then, we put a sump pump down the well and drained it. Our friend Butch Cleaves, (who’s a plumber with his own business in Vermont, he’s awesome- if you’re interested in hiring him, please contact me directly.) went down the well with a brush, a small shovel and a bucket, and cleaned all the junk out of it. A day later, it was clear water and you could see to the bottom with a flashlight. It was also determined to be about 20 feet deep. I was planning on making a well cap for it, but my husband and I couldn’t agree, so we agreed to ask my dad for advice. Instead, this last week, I came home from shoulder surgery to a finished cap. It was a nice surprise! It was also so very heavy that the kids can’t move it. 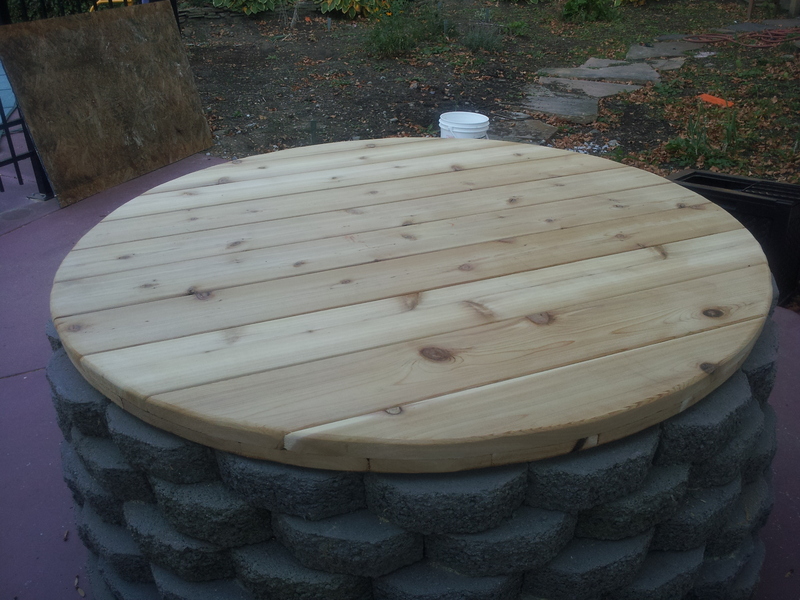 He took 1 inch cedar planks (again from Lowes – about $10 each) and made a flat layer out of them. 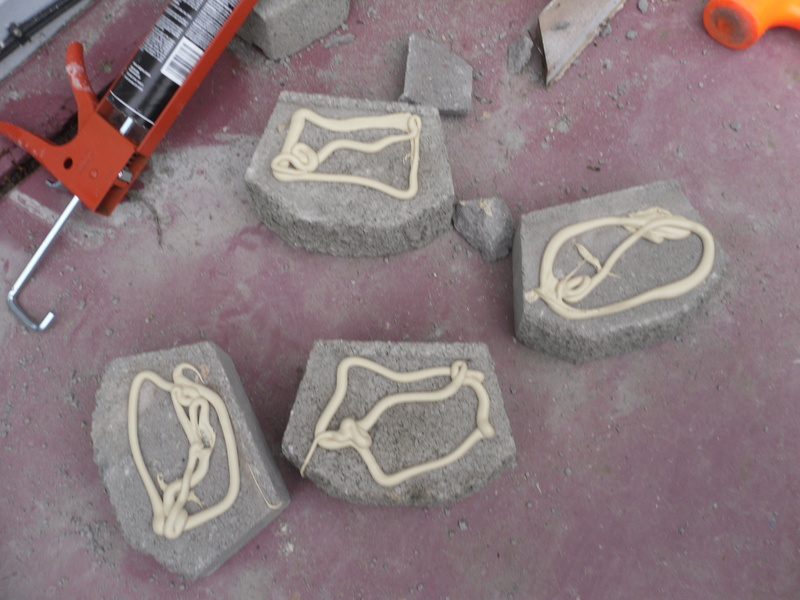 Then, he took more planks and laid them at a 90 degree angle to the first (so that they were criss-crossed). He glued and screwed the wood, champhered the edges so they were rounded, and low, it was done! 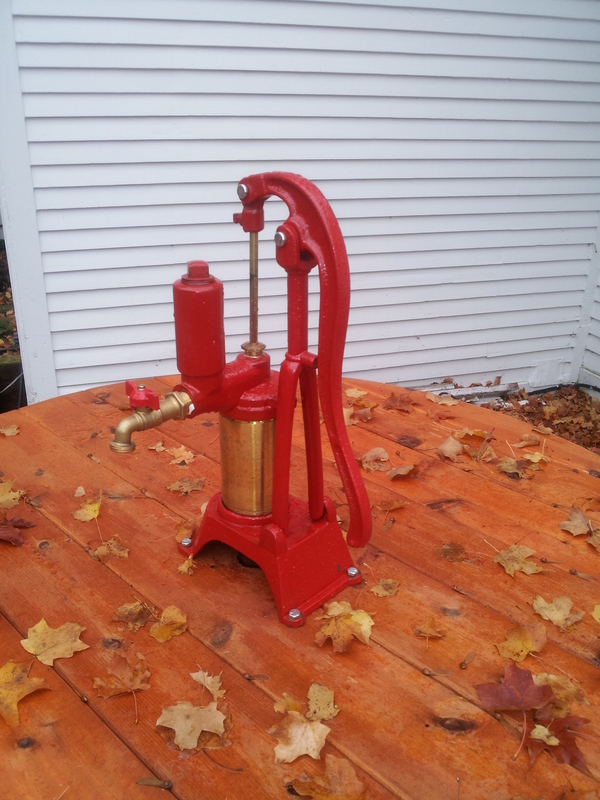 Lastly, I purchased a Heller Aller pump. 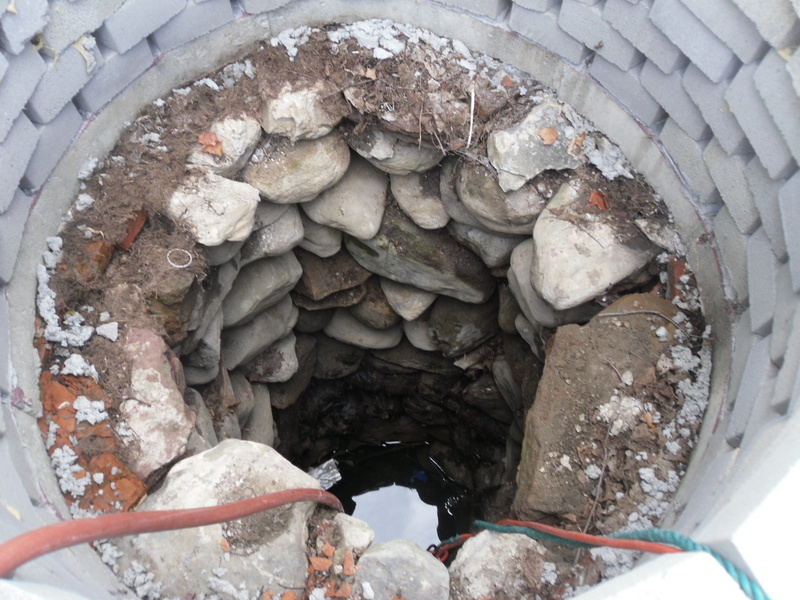 This is a very strong, shallow well pump, which is also usable inside. Then, our friend Butch, plumber extraordinaire, installed it. Though this was a long project due to other issues, it was not a hard or terribly expensive one. When it was all said and done, we spent approximately $550 for the whole thing, pump included, which was by far the most expensive piece. The choices that we made were made for utility, longevity, and their inexpensive price, relative to their expected life. Yes, we could have gone with pressure treated lumber, but it can shed arsenic and takes a full year to weather to the point where you can finish it. 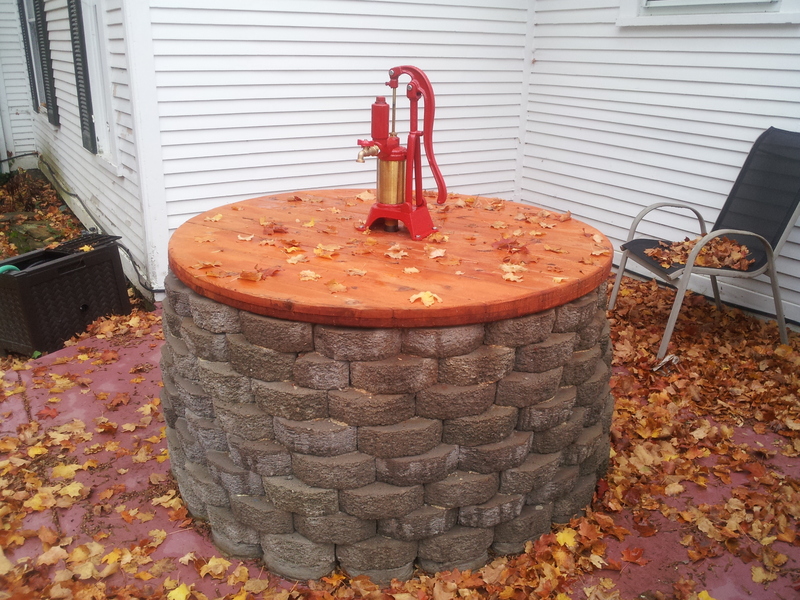 The cedar will, in our estimation and prior experience, last nearly as long as the pressure treated lumber, was immediately finish-able, and was a better environmental choice if we ever need to drink from the well. The lumber ended up costing $110, and we had all the screws and adhesive in stock in our tool room. 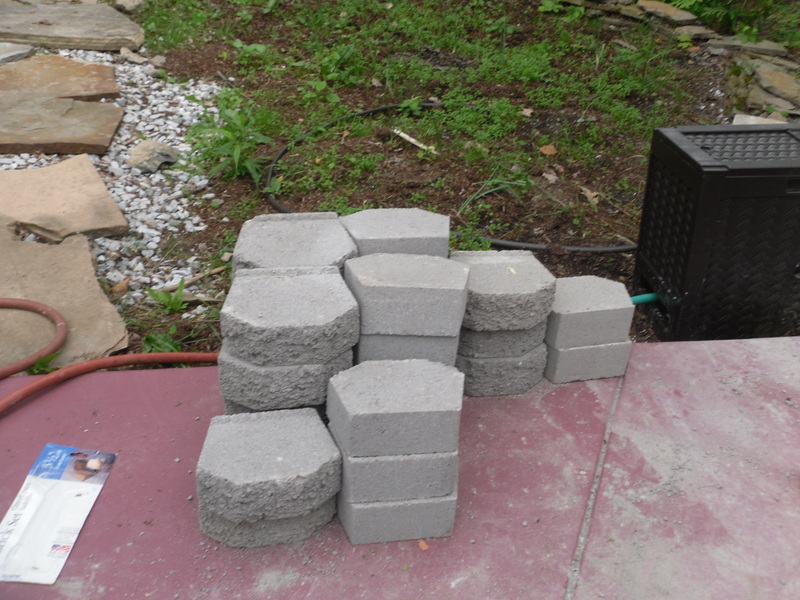 The concrete blocks were found on sale, with a cheaper incorrect price listed on the shelf – I got them for about .94 cents apiece; total cost there was $150. The pump, the most expensive piece, was found at Lehman’s for $280. Good luck with your own water projects & happy pumping! Re-enactor, canner, sci-fi geek, mom, she who loves car seats! 2 Comments on "How To Rehab a Shallow Well"
That was a great story. Thank you for sharing it and the pics. Wish we had water that shallow in the Texas panhandle, but we don’t. That looks really nice! You are blessed.